Commodities are available once per month to families/individuals throughout Kings County. In order to receive commodities you must complete an application and be within the income guideline. We currently have distribution sites located in Hanford, Kettleman City, Corcoran, Lemoore, Stratford and Avenal. 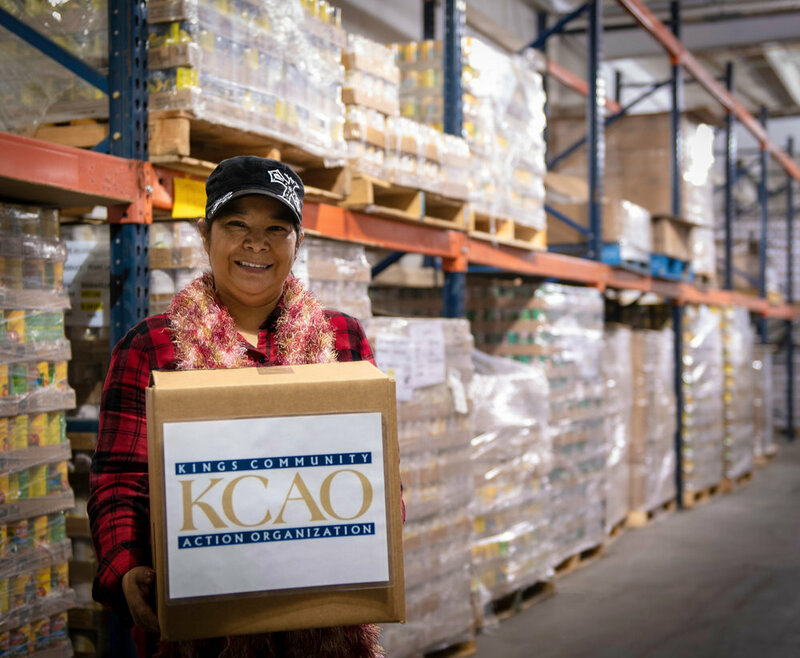 We are so happy that you and your company or organization want to help fight hunger in Kings County. Please fill out the form below to let us know that you would like to hold a food drive. Once we receive the form we will contact you to finalize all the details. Thank you! Once we receive the form we will contact you to finalize all the details.